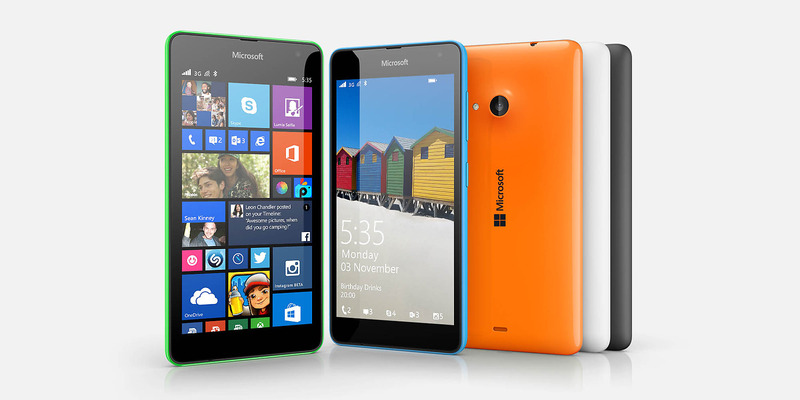 Microsoft Lumia 535, the latest budget friendly smartphone device addition to the Lumia brand and the first Microsoft branded Lumia has been launched in Accra. Microsoft Ghana Mobile Devices and Service business manager, Mr. Kolawole Osinowo at the outdooring of the device shared; innovation should be available to everyone, our endeavor is to make it accessible through our range of affordable Lumia devices. He also said Microsoft is giving real time value to consumers and this enables them engage in productive and innovative driven activities within a short possible time. 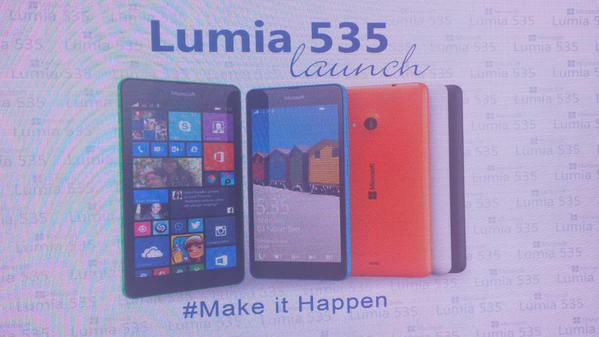 The smartphone comes preloaded with the latest firmware update to the OS, Windows Phone 8.1 with Lumia Denim. The Lumia 535 has a 5″ qHD corning gorilla glass 3 IPS LCD display, powered by a Snapdragon 200 1200 MHz Quad core processor. The device is boosted by a dual 5 MP front and rear cameras, with the front camera being a wide angle, 8 GB of internal memory storage with expandable MicroSD memory card capability of up to 128 GB, 1 GB of ram size and a replaceable battery capacity of 1905 mAh. You’ll also receive 15 GB of OneDrive cloud storage, Xbox and the office suite of applications comes preinstalled. The device comes in cyan, bright green, bright orange, white, dark grey and black colours.